Beats by Dre headphones are impossible to miss. No other brand, with the possible exception of Apple and Starbucks, has become so ubiquitous and so recognizable. The urBeats3 in-ear headphones are among the company's top-sellers, and we recently spent a month with a pair to find out why. It is a month we will regret until the end of time. In this review, we break down the sound, design, comfort and fit, packaging and accessories, specs and more of the Beats by Dre urBeats3. To see alternatives, check out our list of the best earbuds. It would be wrong to state that the Beats by Dre urBeats 3 are a total disaster. On the scale of catastrophes, they are a serious car crash rather than, say, a nuclear explosion. That's because there is at least one aspect that they can be recommended for, and that's bass. Beats have always put their reputation in their low-end, and the urBeats don't let the team down. The tiny dynamic drivers push out bass that feels tight, meaty, and defined. It's often so powerful that it causes actual movement and vibration of the buds themselves. Not dramatically so - they aren't going to be leaping from your ears or anything - but if you crank them up for a bass-heavy track, you'll definitely feel it. Compare that effect with the Apple Airpods (full review here). 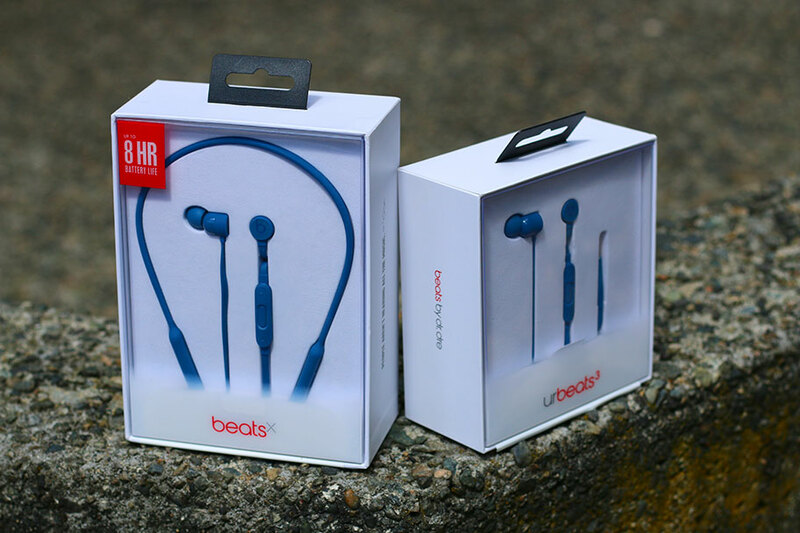 Yes, they may cost nearly $100 more ($147 to the urBeats3's $60) but in terms of low-end, we prefer the Beats. A lot of this is down to personal preference, and it certainly wouldn't be fair to say that the Airpods deliver bad bass. It just doesn't the impact and punch that the urBeats have. The urBeats are flat-out fun - and if you do listen to EDM or hip-hop, you'll definitely get a kick out of these. Or you will, until you realise you've spent over $100 on a pair of in-ear headphones that, bass aside, sound absolutely god-awful. It really cannot be understated just how utterly appalling the overall sound of the urBeats is. The powerful bass might be fun for a while, but the rest of the audio made us cringe. Repeatedly. The midrange - where elements like vocals and keyboards sit - was weirdly recessed, sounding as if it was coming from a transistor radio buried at the bottom of the ocean. It felt so wonky and uncomfortable that we actually tried to get a better fit, in case it would improve things. It didn't. The highs, too, were a disaster: as sharp and unpleasant as an opinion from your mother-in-law. Then again, we shouldn't be surprised. When a company allegedly uses no more than $10 of material to build their headphones, the sound is going to match that price point. And how's this for hysterical? The company who performed the test discussed in that link subsequently discovered their test model was a counterfeit, so they won't and bought a confirmed genuine article - only to discover that the material value in both was roughly the same? Ouch. What's astounding about this is that the urBeats3 are not just terrible in and of themselves; they are terrible in comparison to just about everything else. That includes models cheaper than them. Take, for example, the Bose Soundsport In-Ears. Those cost the same as the Beats, at $50, and are better in almost every conceivable way. Yes, you lose out on the massive bass, but it's not like the Soundsports deliver bad low-end; for most people, it'll be perfectly fine. And it comes with an overall sound that, while not incredible, does a perfectly acceptable job. This is where we talk about how the urBeats3 position instruments in a song. Or we would, if they did. See, you want a wide soundstage in a pair of headphones; the more spread-out the elements of the track feel, the more they seem to come by different directions, the more immersive the experience will be. And the urBeats 3 just...whiff. The songs we listened to felt squashed and angry, as if they'd been shoved into a pair of pants far too small for them. Everything felt aggressively panned hard left or hard right. It is absolutely astounding that these in-ear headphones cost as much as they do. We'll go further. We can propose a pair of in-ear headphones that not only sound infinitely better than anything Beats by Dre has ever produced, but cost six times less. Go buy a pair of Venture Electronics Monk Plus in-ears - seriously, do it now, they cost less than $10 - and tell us we're wrong. They offer sound that is leagues ahead of the Beats, with construction and build quality that are comparable, and for a fraction of the price. This is the very definition of a no-brainer. The VE Monk Plus are the great open secret in the audio world, and they offer far more than the Beats ever will. However, one thing worth noting: they have no in-line mic, whereas the Beats do. 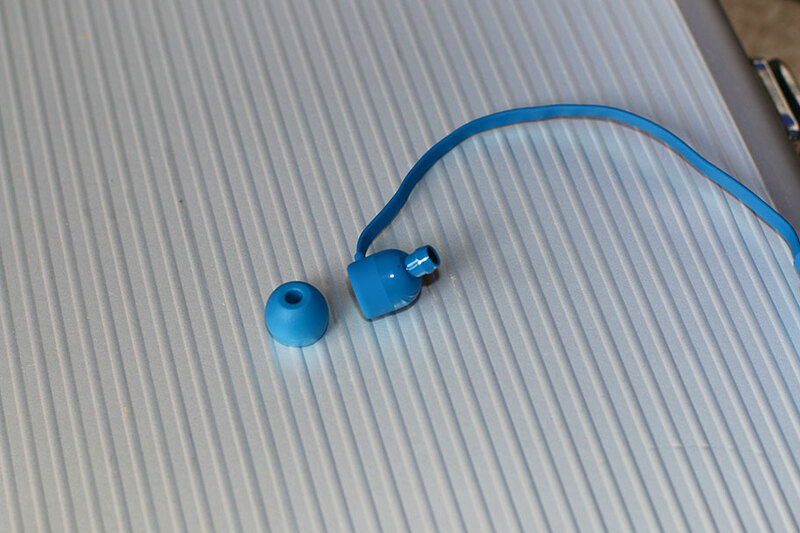 The urBeats3 call quality was acceptable, but nothing more. Let's talk about microphonics. You're going to be experiencing a hell of lot of them if you buy these. So, it's worth getting out of the way. If you ever bump the cable of a pair of headphones, or move it against clothing, and get a kind of rustling noise in your ears, you've experienced microphonics. 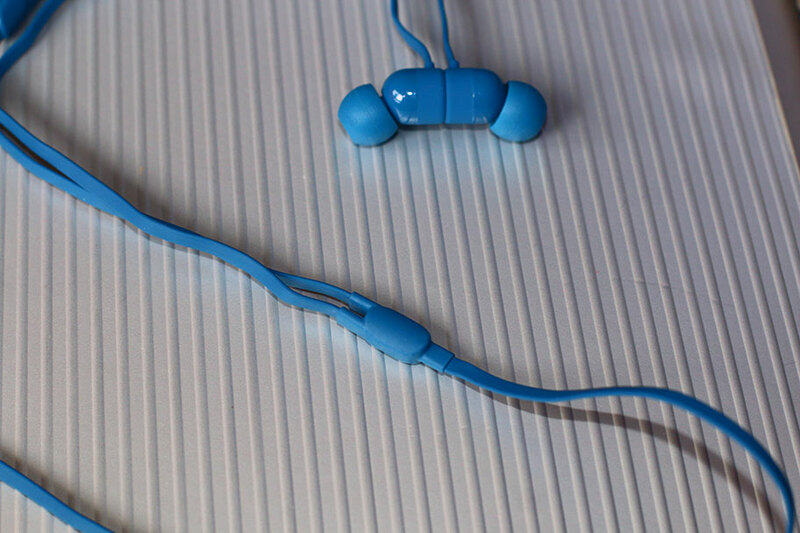 They are annoying, and can be frequent - especially for in-ear headphones, which are often used while you're on the move. Microphonics can be avoided by crafting the cable out of high-quality, movement-resistant material - you can already see where this is going. The slightest movement, the merest brush of the cable against a shirt or jacket, and the noise was everywhere. Brutally-put: it sucked. Admittedly, it's a common problem in this price range, but it's certainly not without solution. Take the MEZE 11 Neo (full review here), which not only almost match the Beats on price, at $59 versus $50, but don't have significant microphonics. And yes, they sound much better, because of course they do. These microphonics also mean using the urBeats3 in the gym is not an option, for one thing. And, while Beats don't disclose the IPX rating of the urBeats3 - which tells you how waterproof and dustproof they are - it doesn't actually matter. There's no way to keep the cable still, no shirt clip or handy way to arrest the movement of the silicon. Forget running. Forget cycling. Forget weightlifting. It's just not a good idea. If you like rubbery silicon, you're in for a good time. And in all fairness, the design of the urBeats3 isn't terrible. There are some nice touches, like the magnets embedded in the housing, meaning you can snap these together around your neck. They're also relatively lightweight, at less than an ounce. The design is virtually identical to the wireless BeatsX, which you can buy for an additional $50, if you're feeling masochistic. The problem is, everything just feels so cheap. If these headphones cost $20, we wouldn't question it - would welcome it, even, with the understanding that they aren't asking a lot. But to charge $60 for rustley, awkward bits of silicon and plasticky buds that feel as if they're about to collapse just from the pressure of existing, is a joke. If you'll permit us another comparison: Apple's Earpods, which are arguably even more ubiquitous than the urBeats3, manage to get build quality right. And they cost $27! We don't deploy exclamation marks often on this site, but the Beats earbuds have earned them. We should give out an award: The Exclamation Mark Trophy For The Headphones Most Likely To Be Put Down The Garbage Disposal. You control the urBeats3 by means of a set of in-line buttons, containing a pair of volume clickers and a single, central button to handle the other functions, including activating Siri. This function is labelled RemoteTalk. We're Android users and the majority of our testing took place on a OnePlus phone, but a friend with an iPhone let us test this out. Siri responded quickly and cleanly, and we had no problem using it. That being said, the actual buttons themselves had some issues. The volume clickers were fine; they felt responsive and easy, and we never had trouble using them. The RemoteTalk button, though? Yeesh. It felt soft, with a long travel time, and we always felt like we had to reseat our thumb to properly push it. In-line controls are surprisingly hard to get right, but even this feels like it's a lot worse than it needs to be. And yes, the cable tangles. Of course it tangles. It would be headline news if it didn't tangle. 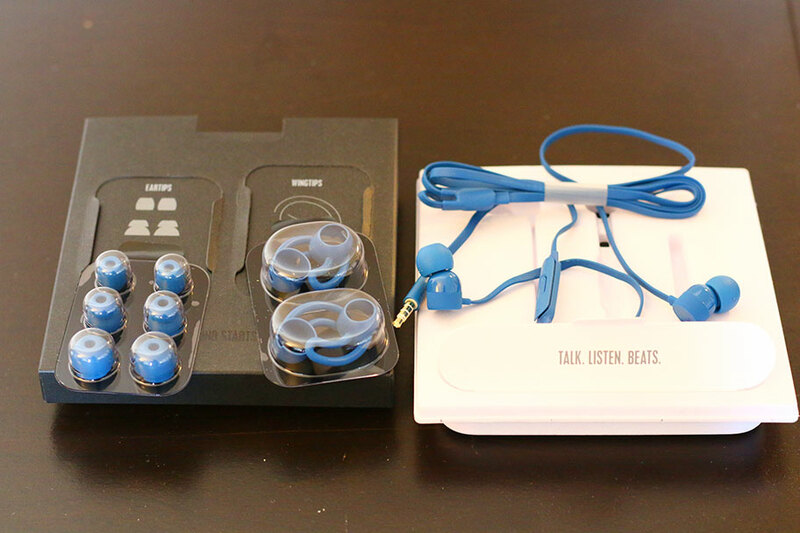 Surprisingly, it wasn't tricky to get good fit and isolation with the urBeats3. We actually found that the stock tips, which were already attached, did the job fine. 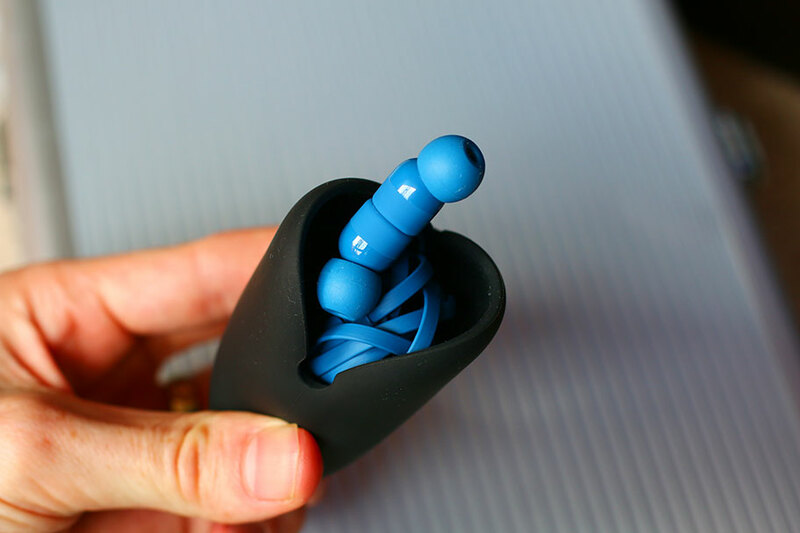 If that wasn't the case, the urBeats3 come with a huge selection of different tip sizes - which we'll talk about more in a bit. What we did find to be a problem with the urBeats3 was that they become significantly uncomfortable after a few hours. 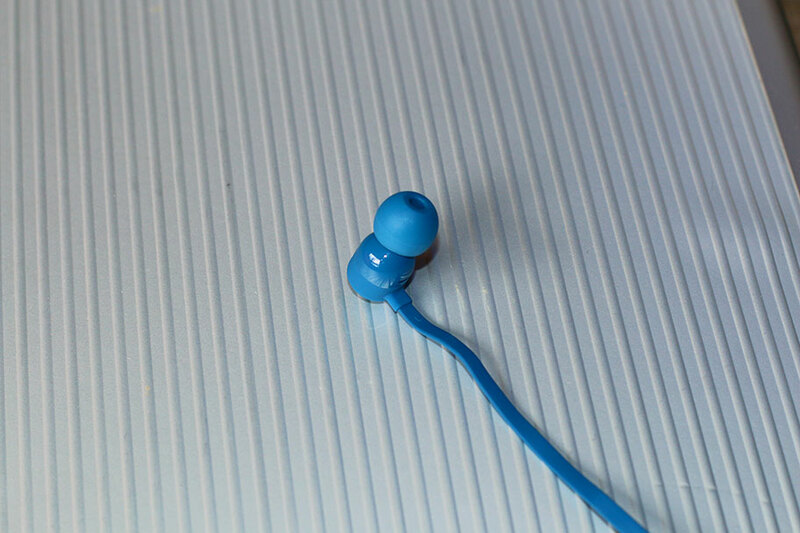 That's something they have in common with earlier models like the urBeats2 Even after experimenting with different tip sizes, this remained a problem - although smaller tips definitely did help a little. By the way, if you're curious about the differences between versions 2 and 3 of the urBeats, you're talking a color scheme, some additional tips, and Siri functionality. That's about it. 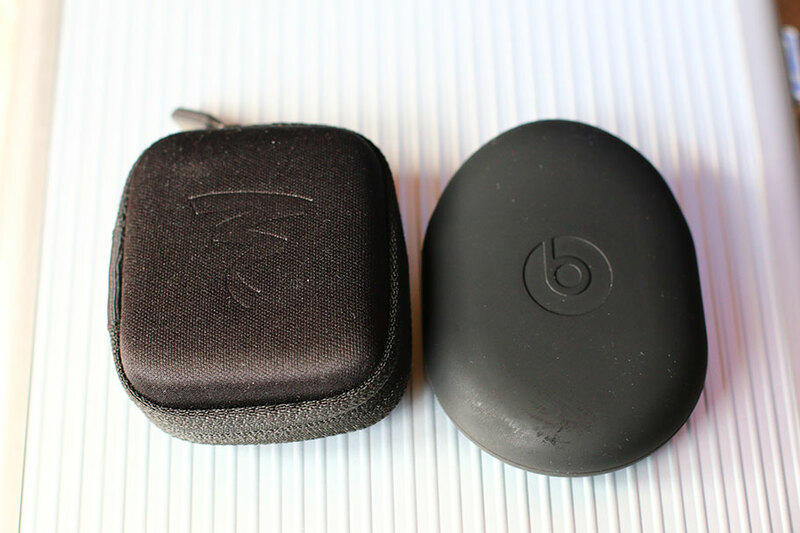 We actually quite like the case supplied with the urBeats3. It's a simple, pocket-sized silicon pouch with a gap in one side, and it felt like a friendly, intuitive way to carry the headphones. We will be purloining it for other models as soon as we're done reviewing these. It's a significant improvement on cases from other manufacturers - like, for example, Focal, who make much more elite gear. 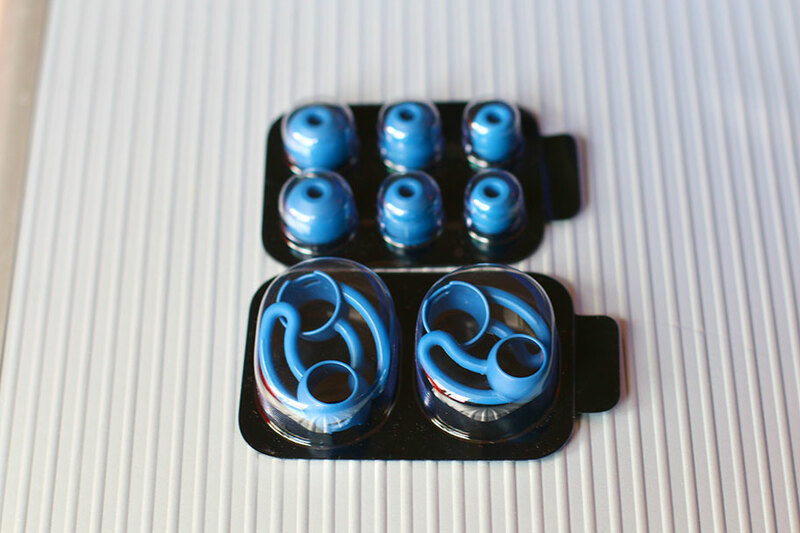 Their budget earbuds, the Spark (full review here), come with a zippered case that feels fiddly and annoying. The urBeats3 case is much better. You could make an argument that zippered cases protect earbuds from the elements, but unless you're waving your urBeats3 case around in a thunderstorm, or letting things leak in your bag, we can't see this being a huge issue. The case here is much simpler to use. Packaging is unremarkable, with the earbuds stashed in a cardboard insert, visible behind transparent plastic. Inside, you'll find not only the buds and the case, but also a selection of tips and wings, designed to help you get the perfect fit. Swapping these out is no problem - a quick twist and pull will do the trick. And in an unusual case where more packaging is a good thing; these tips and wings come in their own plastic covers. If the stock tips fit, as they did with us, you never have to take them out their packaging. Good to know that someone at Beats by Dre was awake while designing the packaging. The bass of the urBeats3 is enjoyable: fat and fun, with a good level of punch. The case the earbuds come in is pretty good, and has zero moving parts. 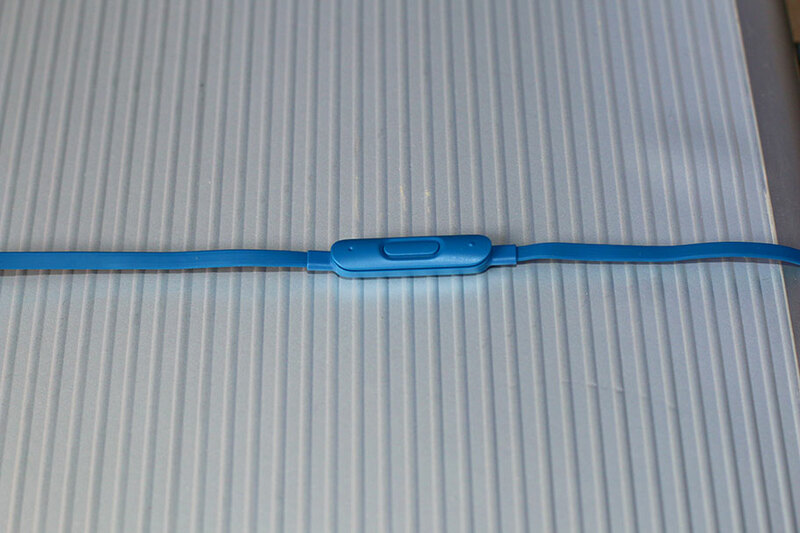 The design is workable enough with some handy features, like the magnets that allow you to snap the buds together. The overall sound of the urBeats3 is atrocious, with horrible mids and tinny highs. Not even the bass is good enough to save it. 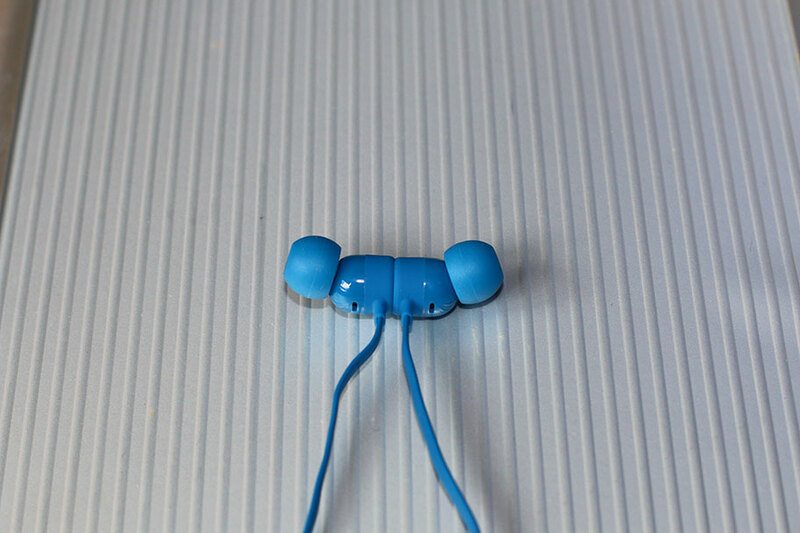 They are vastly overpriced, and are outclassed by earbuds that are much cheaper. You are, essentially, paying anywhere between $20 and $110 to tell the world you like Dr Dre. The cable rustles endlessly whenever it is touched, making it hard to hear the music. They aren't a direct comparison, being entirely wireless, but it's worth talking about the Apple Airpods - not least because one of the most common searches on Google is urBeats3 vs Airpods. They cost a good deal more, at $147, and come with their own hangups and issues - cleaning them, for one thing, is a lot harder than it is with the urBeats, due to earwax being pushed into the tiny speaker grilles. However, they're still very decent. They offer much brighter sound than the urBeats3, and aren't going to impress anybody looking for heavy bass: the two products are apples and oranges here. In her recent review, our deputy editor Alyssa Castle wrote, "The AirPods' sound is good, but not mind-blowing, world-beating, or any other overzealous term we use to describe our top gear. The sound here is perfectly adequate, but that's all. That being said: considering the amount of technology crammed into such a small space, expecting the AirPods to have stellar sound is...well, a little unfair." Or you could ignore both those options, save a ton of money, and get to look smug when you realize how good your sound is by buying the Venture Electronics Monk Plus. They are slightly different to the urBeats3, in that they sit balanced in the outer ear rather than inserted; we've never had an issue with them falling out, but it's worth bearing in mind. They also have no controls on their cable, and their looks aren't great. But the sound is… incredible. Just incredible. 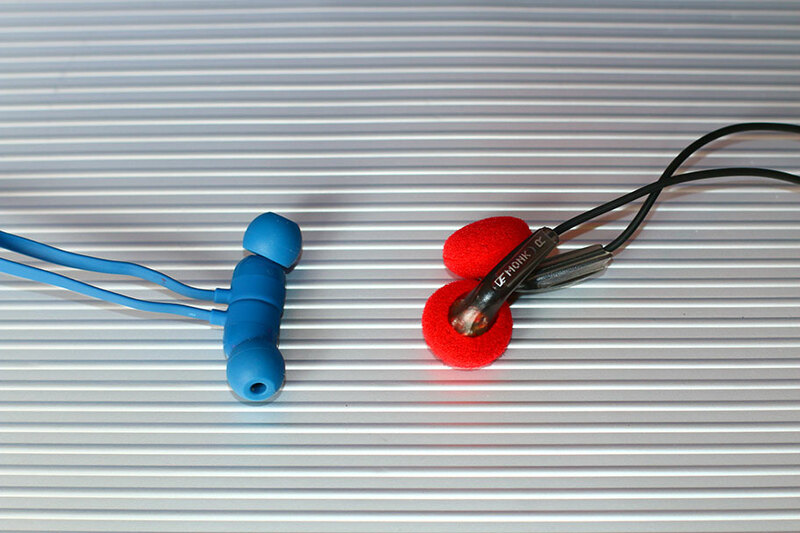 These are a pair of in-ear headphones that rival models with three-figure price tags. At $50, they would be a bargain. At $10? They're practically an impulse buy. Everybody should own a pair, and if the world was just, Dr Dre would be concerned. And finally: the BeatsX. If you find yourself gripped by a notion that what would improve the urBeats3 would be making them wireless, you'd be wrong. 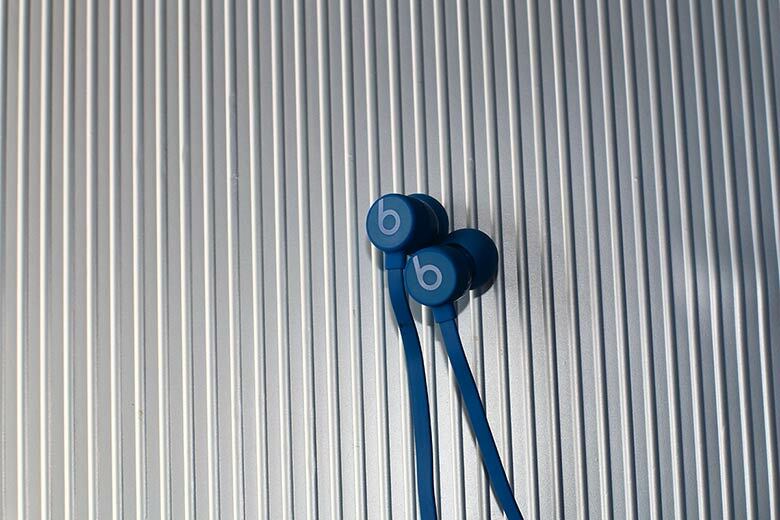 The BeatsX make many of the same errors that the urBeats3 make, although they do have at least one advantage: no microphonics. That means that, with no cable to bump, the sound is a little bit clearer. But you get the same plastic-and-silicone nastiness, the same issues with price (they are $100 compared to $60 for the urBeats3), and the same accessories. They are just not worth it. If you haven't picked up the message in the review yet - if you skipped to this part, for instance - it is this. Don't buy Beats. They are an abomination. A last word. It's likely the urBeats won't be around much longer. They were released in September 2017, and haven't received an update since then. Apple, who own the Beats brand, have largely ignored it since their big headline acquisition. That's not just because of the success of their true wireless AirPods, but also because there are rumours that Apple itself wants to take the position previously held by Beats in the headphones market. Not only are the AirPods 2 imminent at the time of writing, but the company is slated to release a pair of over-ear headphones too. That makes the urBeats3 an even more disastrous buy, as they probably won't be supported for much longer, so steer clear.